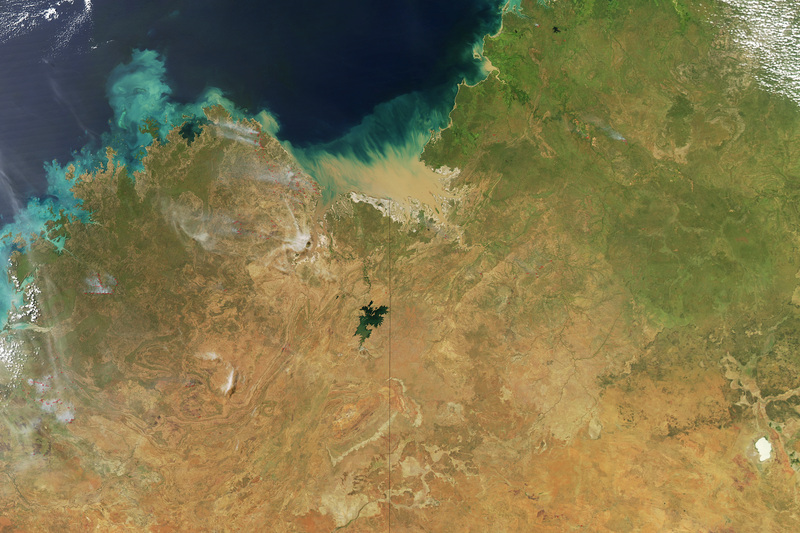 Northern Australia hosts the perfect conditions for wildfires. The wet season makes grasses grow thick and abundant, the dry season turns them in one of the best fuels for a good fire. The dry season normally begins in May, but wildfires have already been reported in Western Australia and Northern Territory, the pillars of smoke captured on photo. The fires are indicated with red marks (click on the photo to enlarge). This could be the beginning of a long and intense wildfire season, since Australia is experiencing an ongoing increase in temperatures and droughts. The photo was taken by NASA’s Aqua satellite which is equipped with six instruments monitoring all kinds of Earth’s water, temperature and energy fluxes.